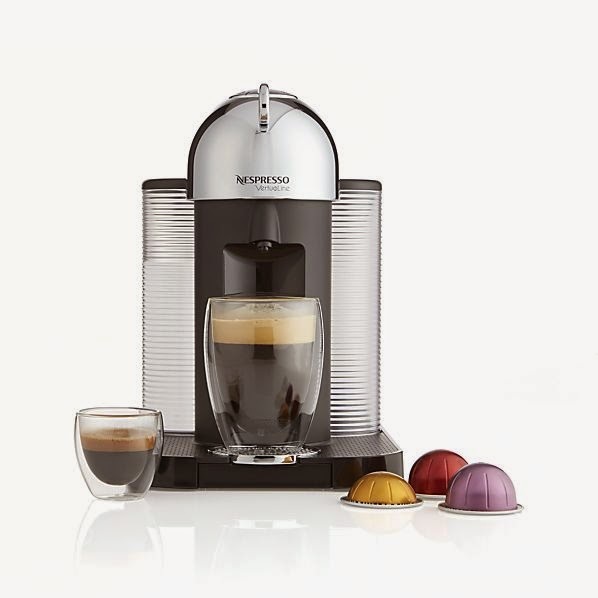 Coffee Gift Guide - and a Nespresso VertuoLine Giveaway! In honor of today's Gift Guide, I'd like to quote my best friend who so eloquently says, "I like myself on caffeine". And I do. I like myself on caffeine very much. In fact, it's the only way I ever get anything done. But coffee is so much more than a vehicle to help us all get our work done, it is a ritual, and there is an art to making a great cup of coffee from the beans to the mug it's served in. I've rounded up some of my favorite coffee gifts to the coffee lover in your life - for the people who like the ritual of a morning brew, to the coffee cocktail aficionados, to the people who need their caffeine quickly (ahem, me). 8. For the lucky recipient of the Nespresso VertuoLine - make sure they are stocked up on a range of different coffee capsules from Nespresso! Each capsule has a different blend of coffees from different parts of the world that each have different flavor profiles and intensities. Pro Tip: Don't forget to save your used capsules to send back to Nespresso when you order more, they will recycle them for you! Just ask for the recycling bag when you check out! And, shipping is free! Now that you're lusting after everything on this list - I can now spoil one of you lucky readers!! 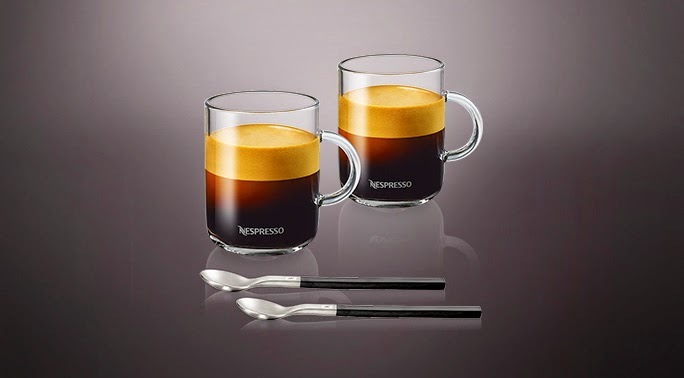 I am beyond thrilled to host a giveaway for a Nespresso VertuoLine Machine and a Set of VertuoLine Glass Coffee Cups and Spoons! 1. Leave a comment on the Instagram post answering: who you'd most like to drink coffee with (past or present, real or imaginary). I'm going to let this contest run a little longer than normal (because this machine is AWESOME), so the contest closes Monday Morning December 22 at 10 am EST. Winner will be selected randomly and will be DM'd that day. Thank you for Nespresso for sponsoring this giveaway and GOOD LUCK! To sit and have a conversaton with Pope Francis over a cup of freshly brewed pour over coffee would be a treasured occasion. [QUOTE=Paul;106068]I'm very interest buy this coffee/espresso machine with Aeroccino. I get confused.....any feed back on this machines ? Thanks in advance. Nespresso is better, than competitors, but you are going for coffee pods system and I would advice to think over your decision. When coffee is ground, the beans get stale very fast. Ground coffee can only stay truly fresh for a few days (7-15 minutes after grinding is ideal timing). The beans in coffee pods are roasted, ground, and packaged, then wait in warehouses and on grocery shelves for 3-5 months before reaching consumers. Vacuum sealing and nitrogen keep the coffee from oxidizing, but the grounds still lose the flavorful (and volatile) oils, in the form of CO2. Open the pod and the flavor escapes. If you get espresso machine&grinder, you will be able to make better coffee and save in the long run. One time investment will of course be higher. This way you also will avoid pesticides and other unnecessary addons, which may exist in coffee pods. I use Rancilio Hd Silvia & Vario grinder, it is very durable and allows me make high quality coffee. The following article will introduce you to espresso machines, there is listed best espresso machines within various price range&class - http://wikiespresso.com/the-best-espresso-machines-for-the-home/. If you want to dig deeper, you can visit coffeegeek and home-barista forums, where community members will help you with great enthusiasm. @Andrew CO- Thanks for your comments Andrew. I love both brewed coffee and a Nespresso coffee. I like my brewed coffee in the morning - whole bean, ground at home as you have suggested (please note I have a grinder and whole bean coffee listed above), and i like a Nespresso in the afternoon as a post lunch treat. I have been really impressed with the quality of the coffee that comes from Nespresso, and as I have learned more about the company I enjoy all of the new products and variations that they come out with.